by Aristophanes, MacDowell, Douglas M.
Wasps was first performed at the festival of the Lenaia early in 422 B.C. It is arguably one of Aristophanes' most entertaining and characteristic works, and the lack of serious difficulties in the text makes it accessible to the less advanced student of Greek. This edition, first published in 1971, is intended for students and scholars, stressing the comic and dramatic qualities of the play while treating the text more as a performance script than as a work of literature. 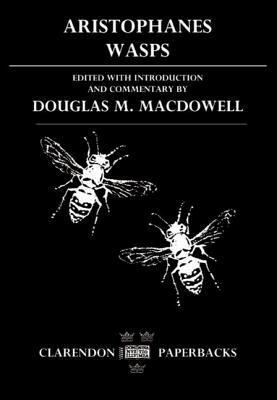 In addition to the revised Greek text, MacDowell includes a lively introduction, full apparatus criticus, a commentary with translations, and two indexes.Aristophanes is the author of 'Wasps' with ISBN 9780198144656 and ISBN 0198144652. Loading marketplace prices 4 copies from $9.76 How does the rental process work?